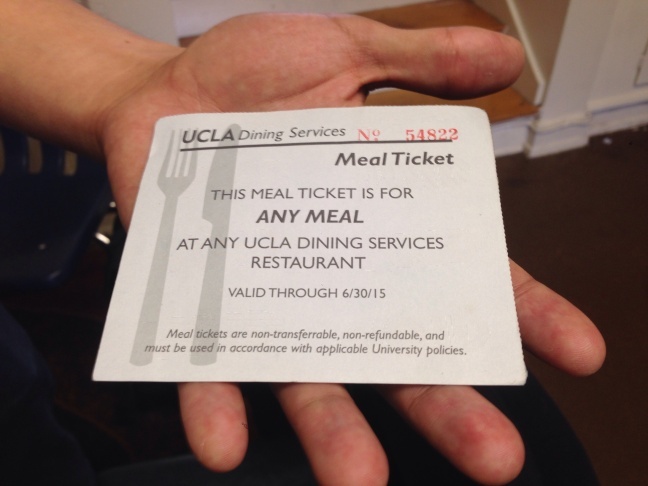 Last academic year, UCLA gave out 3,800 meal vouchers like this one to needy students. UCLA graduate student Diego Ramirez is one of hundreds of students who stop by 580 Cafe for free food. It's across the street from campus in a former church office. Since 2009, UCLA has distributed donated food to needy students through The Food Closet. Thousands of California university students are seeking help each month from food banks and free meal programs as higher tuition and living costs squeeze their meager budgets. The issue is taking on more urgency as the University of California plans further tuition hikes, if state lawmakers and Gov. Jerry Brown decide against a UC request for millions more in state funding to cover operations. For University of California student regent Sadia Saiffudin, the extreme hunger she sees today isn't the occasional empty-wallet experience that some remember from their college days. Saiffudin said people use the term "starving student" lightly because they don’t realize how much of a harsh reality it is for many. "They weren’t the ones living out of their car or having to shower in the gym," she said. A biannual UC survey suggests the scale of the problem: from 2010 to 2014, roughly 50 percent of students said they skipped meals to save money "occasionally" to "very often." And at UCLA, officials distributed in the last academic year some 3,884 meal vouchers for students in dire circumstances facing a food shortage. In 2012-2013, it gave out 7,562 and 4,652 the year before that. UC Irvine has budgeted for fewer than 100 in the first year of its voucher program. Food pantries for students are now open on most UC campuses, in part because of an effort started by President Janet Napolitano to help solve global and local hunger. But Napolitano has warned UC will further raise tuition in coming years if the state does not provide more funding, as much as $98 million more in 2015-2016, to maintain the university system's quality and open more seats for California students. Napolitano's office said the tuition increase wouldn’t make student hunger worse because she wants to maintain or increase the amount of financial aid students receive now. "Financial aid covers 100 percent of tuition for 55 percent of UC students. And it covers partial tuition for 14 percent of UC students," said UC spokesman Steve Montiel. Earlier this year, as the debate over tuition increases heated up, UC Irvine student Mony Sary said she saw many students going hungry to help make ends meet. “A lot of us are definitely skipping meals already and giving away a lot of different luxuries in our daily lives to basically save money to pay for tuition and other basic necessities such as textbooks and school supplies,” he said. Five years ago, Methodist Church deacon Jeanne Roe Smith teamed up with students and UCLA administrators to start the 580 Café in a converted church office located across the street from UCLA. It is one of oldest programs created to address college student hunger in the area. The cafe stocks a refrigerator and shelves with donated granola bars, ramen, and prepared meals from nearby food businesses — and it serves free, hot meals. Physics major Rodrigo Lara says the cafe saved him last year when he had just $200 for the 10-week academic quarter to cover food and the daily bus fare from Whittier. 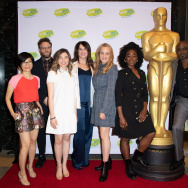 "Last year, I don’t even know how I kind of made it," he said. "I think I was just buying tiny little snacks around campus until I finally started coming here and started eating full meals because I wasn’t eating right and I was hungry, sleep deprived, just generally suffering, you know?" Saiffudin, the student regent, said there's hunger on all UC campuses and each deals with the issue differently. 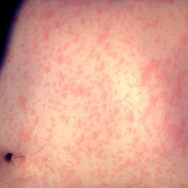 “So some campuses have very open emergency relief programs that are very well advertised and some of them are more invisible, and the stigma is a lot greater there as well,” she said. Word-of-mouth is how students learn about UCLA’s Food Closet. 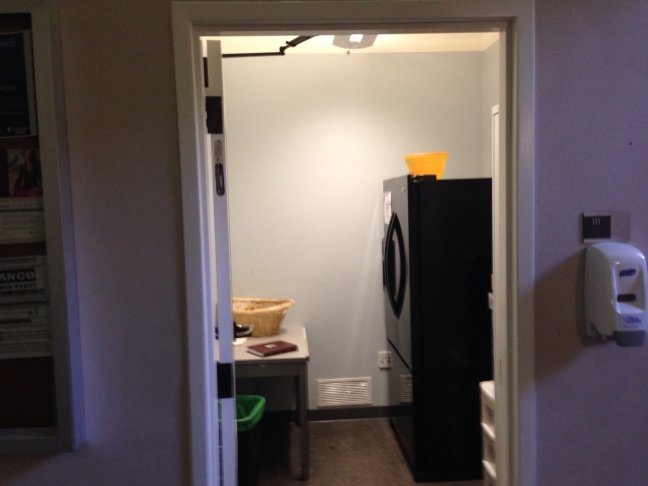 It’s a room with barely enough room for what’s inside: a refrigerator, a tall metal cabinet, and a small table. On a recent weekday afternoon, after students had scooped up what they could earlier in the day, the cupboard was almost bare. About a dozen cans with beans, peas, pumpkin pie mix, and other items were all that was left on the shelves. Students who walked in took pastries from a basket. 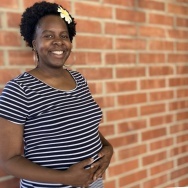 “In the mornings, we definitely fill up for breakfast so it's oatmeal, pastries — we even have a woman who calls herself the Bagel Mom, and she brings donated foods,” said Dennis Santiago, a UCLA employee who coordinates the donations for the Food Closet. 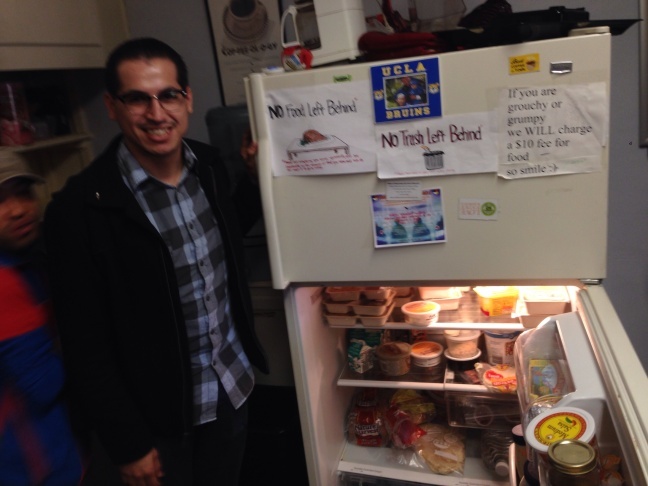 Santiago estimates thousands of students stop by the Food Closet each week. He said he's seen more students come by for food in recent years. Galarneau co-chairs a committee for Napolitano’s Global Food Initiative to study just how serious student hunger is at California colleges and universities. “There’s a lot of competing demands and issues and food security just wasn’t raised to that level of a conversation,” he said. His committee hopes to measure the extent of the problem in depth to find out whether the solutions need to be based on financial aid, cost of living, or other factors. Saiffudin plans to propose to her fellow UC regents in May that they create a task force to look at financial aid, living costs, and student hunger. "There is a way of solving food insecurity on our campuses that can actually help our community grow closer together and have students looking out for each other and instead of existing in their own silos," she said. Compassion, she adds, has to be the main ingredient in that solution. • Campus social workers have provided emergency food vouchers since August, 2014. Vouchers are capped at 100 for the year because of a limited budget. A Food Pantry is in the works and may be up and running within a year. • CSULB students can donate meals from their campus food plans to other students who show financial need. UC tuition increases: Where would the money go?